This blog post was written by Dr Dionyssis G. Dimitrakopoulos, Senior Lecturer in Politics and Director of the MSc programme in European Politics and Policy. It summarises parts of the lecture he gave to British diplomats at the Foreign Office on 18 February 2013. Britain has been described as an ‘awkward partner’ (George, 1994) within the EU but the chequered history of her membership is even more complex. Although it is true that until 1997 there were only two major episodes of positive engagement (the establishment of the single European market in the second half of the 1980s and John Major’s short-lived attempt, upon his arrival at 10 Downing Street, to place the UK ‘at the heart of Europe’) a more thorough understanding of Britain’s 40-year history as a member of the EC/EU ought to be couched not only in contemporary debates on the future of European integration but also Britain’s own past, present and future. ‘For the makers of the original “Europe”, beginning to fulfil Victor Hugo’s dream, their creation was a triumph. Out of defeat they produced a new kind of victory. For Britain, by contrast, the entry into Europe was a kind of defeat: a fate she had resisted, a necessity reluctantly accepted, the last resort of a once great power, never for one moment a climactic or triumphant engagement with the construction of Europe’ (Young, 1998, 2). Indeed, not only did Britain’s governments shun the opportunity to participate in this process from the beginning – in the 1950s – but their pronouncements were matched by further concrete action: Britain played a major role in the establishment of the European Free Trade Association which was meant to be a counter-weight to the emerging European Communities, and was devoid of a common external tariff and a common trade negotiator vis-à-vis third countries, i.e. two ‘state-building’ features of the EEC. Britain was initially joined by Austria, Denmark, Portugal, Sweden, Norway and Switzerland, nearly all of which [i] subsequently became full members of the EC/EU (as did Finland that became a full member of EFTA in 1986 but joined the EU only nine years later). In addition, far from its usual position as a leading decision shaper in international affairs, Britain has had to apply three times in order to join the European Communities. Since then, by and large Britain’s membership has been marked by a number of paradoxes or even contradictions: a sceptical member state but also one whose basic preferences are often (though not always) congruent with key developments in the process of integration as indicated by the single market project, successive enlargements, market-based approaches to a series of policy issues, including employment. 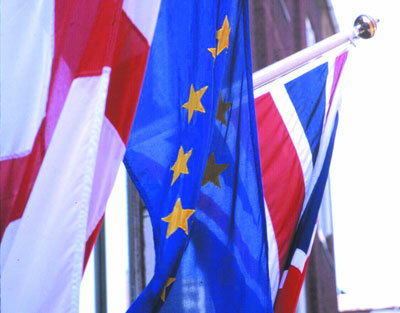 More recently, the terms of the domestic debate on Britain’s membership have not only returned to the themes of the late 1980s and early 1990s but can be seen as evidence of the British political elite beginning to catch up with the continental European debate on the future and the finalité politique of European integration – a debate essentially launched by Joschka Fischer’s famous speech at Humboldt University in May 2000. This involves a struggle between the supporters and opponents of essentially two quite different options for the future of Europe, namely neoliberalism and regulated capitalism. Indeed, on the one hand, David Cameron’s recent speech at Bloomberg and other pronouncements made by senior Tories place them firmly on the side of those who support unfettered markets, a neoliberal Europe – that is arguably the essence of contemporary Tory Euroscepticism for they see the EU as an actual or even just potential source of intervention in the economy. As the emerging debate on the UK’s membership of the EU is bound to reveal, when Mr Cameron refers to ‘flexibility’ he actually has in mind what many on the Continent as well as the UK call ‘social dumping’. In that sense, the recent developments in the debate in the UK mark a return to the early 1990s, when the late John Smith, then Labour leader, was castigating the Major-led government for trying to turn the UK into the sweatshop of Europe, trying to compete with Taiwan on low wages, rather than with Germany on skills, as he put in a speech in the House of Commons. The fact that Mr Cameron has singled out the EU’s Working Time Directive makes him particularly vulnerable to that line of attack because that directive (like others in the socio-economic and environmental domains) actually allows individual member states to pursue higher standards. So, if Mr Cameron wants flexibility, this is bound to mean the dilution of standards, not their improvement. The Labour Party’s response was largely couched in Ed Miliband and his team’s preference for ‘responsible capitalism’ which has a clear social democratic ‘flavour’. This is good news for those who want to have real choices not only in national electoral contests but also the forthcoming European elections for, ultimately, the kind of Europe that we want is inextricably linked to the kind of Britain we want. George, S. (1994) An Awkward Partner. Britain in the European Community. 2nd edn. Oxford: Oxford University Press. Young, H. (1998) This Blessed Plot: Britain and Europe from Churchill to Blair. London: Macmillan. [i] Norway and Switzerland are the two exceptions. Category: Social Sciences History and Philosophy Tags: Britain, EU, Europe, Politics society and law by Bryony.